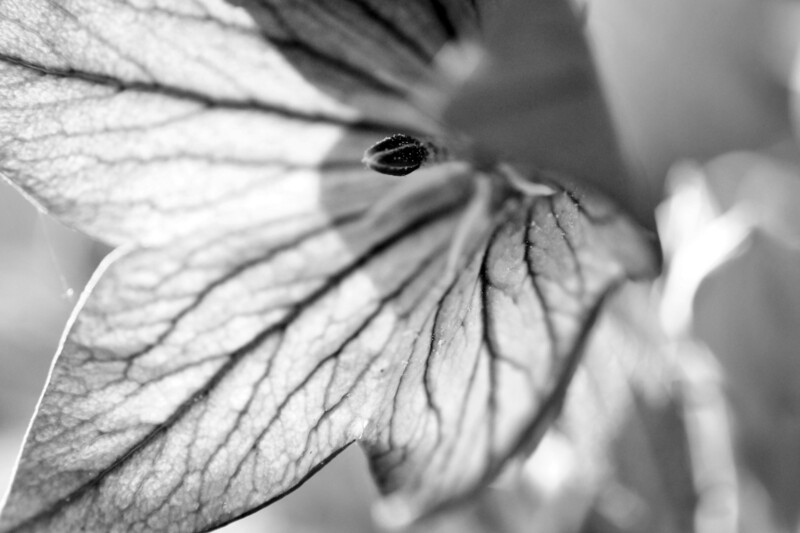 Wonderful black and white macro photograph of a Balloon Flower in bloom in the glowing sunlight. A perfect floral accent for your cabin, home or office. Makes a great gift idea for flower lovers!